In the last few weeks, I talked about how I worked to lower my blood pressure with the Ketogenic Diet and Magnesium. The next stop on my lengthy journey was to find out if L-Arginine supplementation would lower blood pressure. There were 2 studies I found that suggested I was on the right track. The first was a very small study from May 2000 that was published in the American Journal of Hypertension. It assigned 6 people through 3 different isocaloric diets in random order; Diet 1 was a control diet, Diet 2 was one with L-Arginine enriched natural foods, and Diet 3 was the control diet with an added L-Arginine supplement. A small drop in blood pressure was recorded with both Diet 2 and 3, or the L-Arginine rich diets. Diet 3 which included the L-Arginine supplement even recorded a small drop in blood glucose levels. There was another study published in the American Journal of Cardiology published a study where patients with angina where treated with L-Arginine supplements and it resulted in decreased angina and lower systolic blood pressure. Both of these studies convinced me that I needed to find out more about what L-Arginine was and how it worked. I found out that L-Arginine is a precursor to a molecule called Nitric Oxide and it is Nitric Oxide that works to lower blood pressure. It allows the endothelial layer of the blood vessels to relax, allowing for easier blood flow through the vessels. My next step was to track down Dr Howard Pieper, an expert on Nitric Oxide who wrote a very popular book on the subject, Getting to Know NO, for my podcast. He was able to walk me through how to supplement L-Arginine and what foods I should be including in my diet in order to maximize the amount of Nitric Oxide I could produce. He recommended something called Munogen which is supposed the Rolls-Royce of Nitric Oxide supplements but it was well out of my price range. I found Dr Emil’s brand and was pretty happy with those. They are 1000 mg each and 90 pills per bottle. You are supposed to take 3 a day but I just took one and it seemed to work. The best foods for increasing Nitric Oxide levels in the blood are Red Spinach (something I had never heard of before my conversation with Dr Peiper), Beets, Garlic, Dark Chocolate, other leafy greens, citrus fruits, pomegranate, Nuts and Seeds, watermelon, red wine, celery, parsley, fennel, cabbage, and turnips. Unfortunately, there is no simple blood test you can do to figure out the direct effect of L-Arginine supplementation or eating certain foods has on your Nitric Oxide levels. The only thing you can do is adjust something and then test your blood pressure after a few days. If your BP goes down, you may be on to something. I wish I could tell you with some authority that I saw a drop in my BP but unfortunately, I was doing so many things to adjust my BP at the same time that it is hard to tell what happened as a result of just the L-Arginine supplementation. 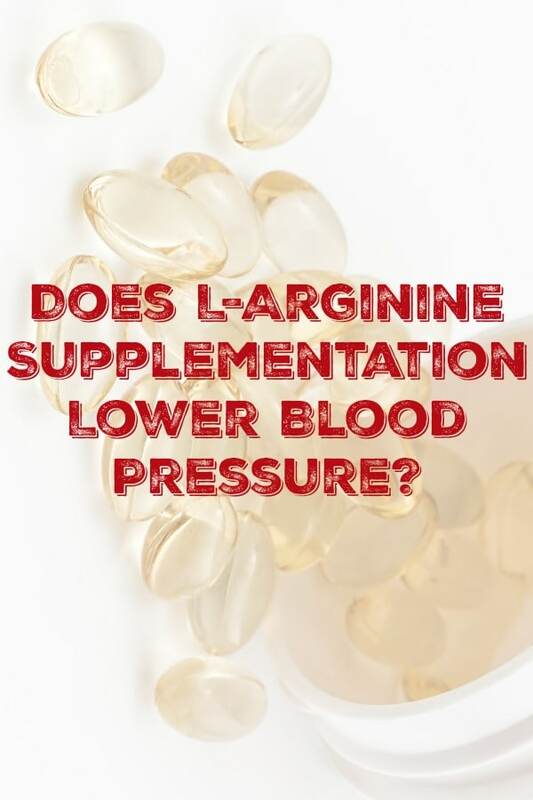 All I can tell you is it seemed to help a bit and it definitely didn’t hurt anything so I would definitely say L-Arginine supplementation lowers blood pressure. 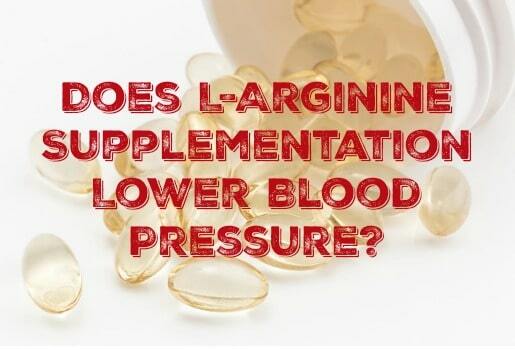 Have you tried L-Arginine supplementation? I would love to know in the comments below!